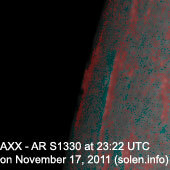 Last major update issued on November 19, 2011 at 05:55 UTC. 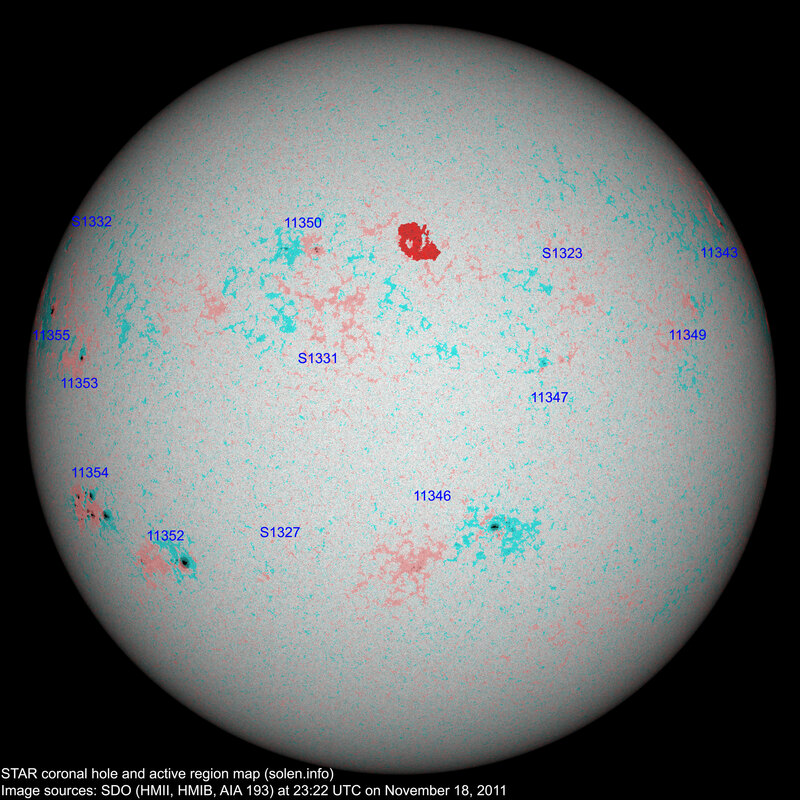 The geomagnetic field was very quiet on November 18. 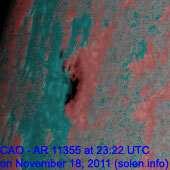 Solar wind speed ranged between 348 and 438 km/s. 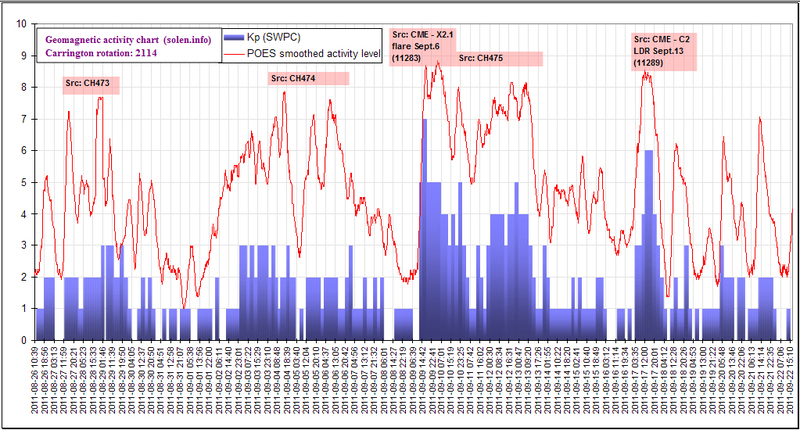 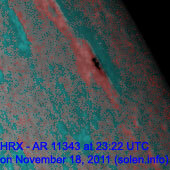 Solar flux measured at 20h UTC on 2.8 GHz was 144.4 (decreasing 19.7 over the last solar rotation). 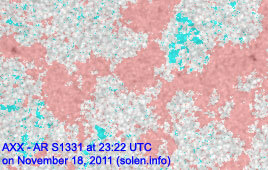 The planetary A index was 2 (STAR Ap - based on the mean of three hour interval ap indices: 2.4). 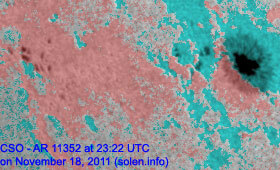 Three hour interval K indices: 00001110 (planetary), 01001100 (Boulder). 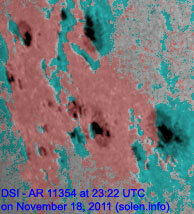 At midnight UTC the visible solar disk had 13 spotted regions (in 2K resolution SDO images). 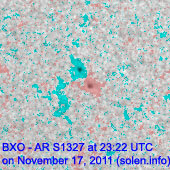 Region 11343 [N28W79] decayed slowly and quietly. 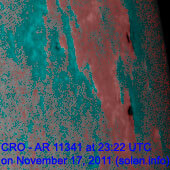 Region 11347 [N08W24] decayed slowly and was quiet. 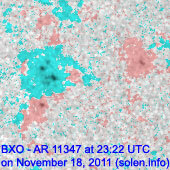 Region 11349 [N17W55] reemerged with a few small spots. 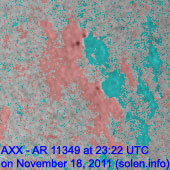 Region 11350 [N27E17] decayed slowly and quietly. 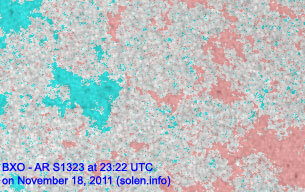 Region 11352 [S23E42] was quiet and stable. 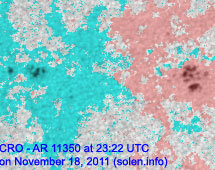 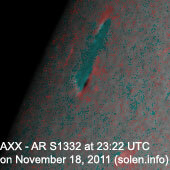 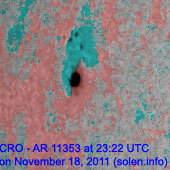 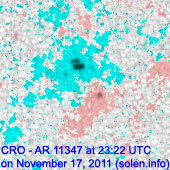 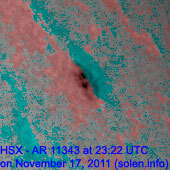 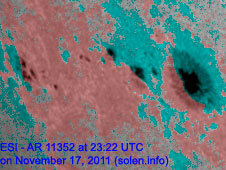 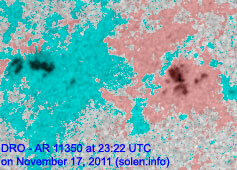 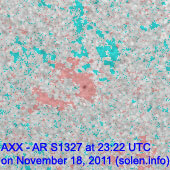 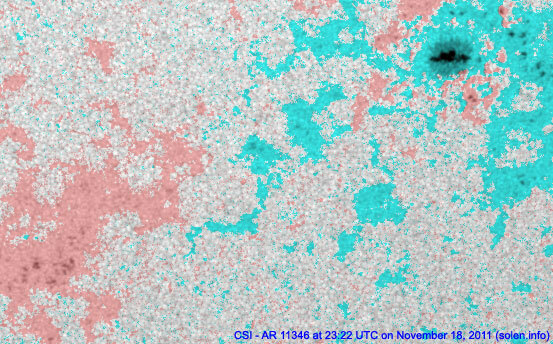 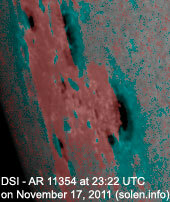 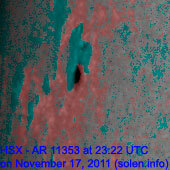 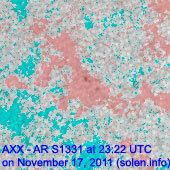 New region 11355 [N15E76] rotated partly into view on Nov.17 and was numbered by SWPC the next day. 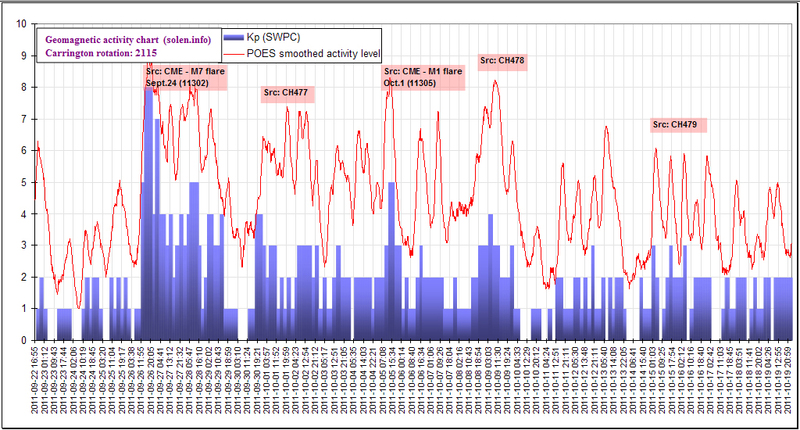 November 16-18: No obviously Earth directed CMEs observed. 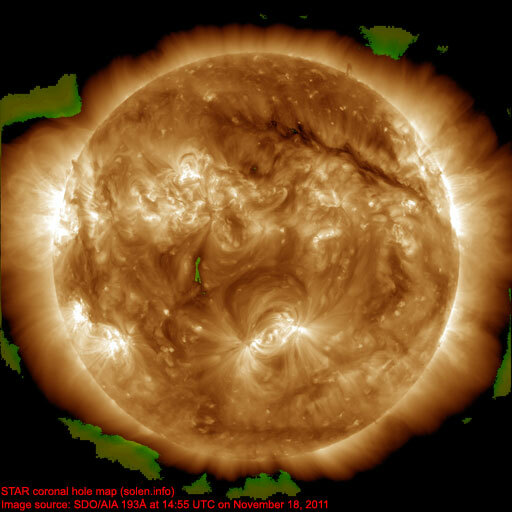 The geomagnetic field is expected to be quiet on November 19-21.